4 Surprising Ways a Garden Can Actually Improve your Health! For centuries people have taken pleasure in having a garden and being in nature. Gardens have the ability to inspire, heal, and connect us to nature. If designed correctly they can be magical and bring joy to the homeowner. 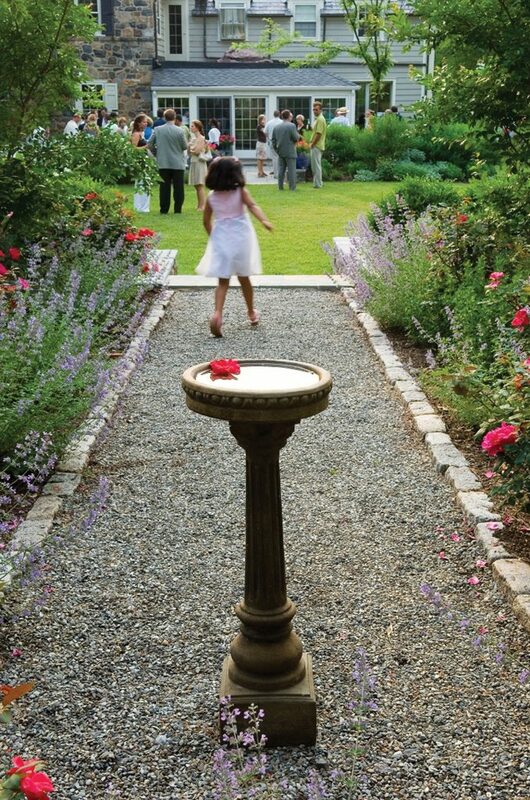 Gardens can both be a retreat for personal reflection or a place to gather with family and friends. Beside beauty, being outdoors has proven health benefits. Studies show that simply looking at landscapes can improve mental health. Being outside in nature is great for physical health as well. 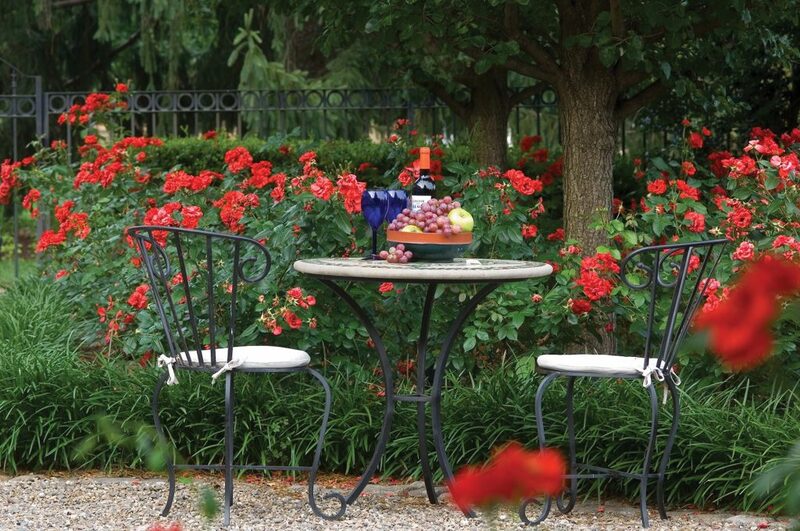 Spring is the perfect time to create a garden. 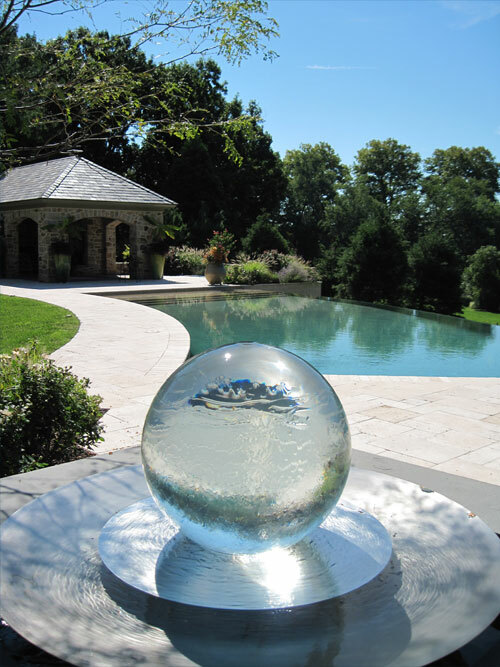 The experts at the Chadds Ford-based Wallace Landscape Associates can turn your dream garden into a reality. Gardens are meant to be an escape, but it’s hard to escape when you can’t enjoy your backyard because of common nuisances. 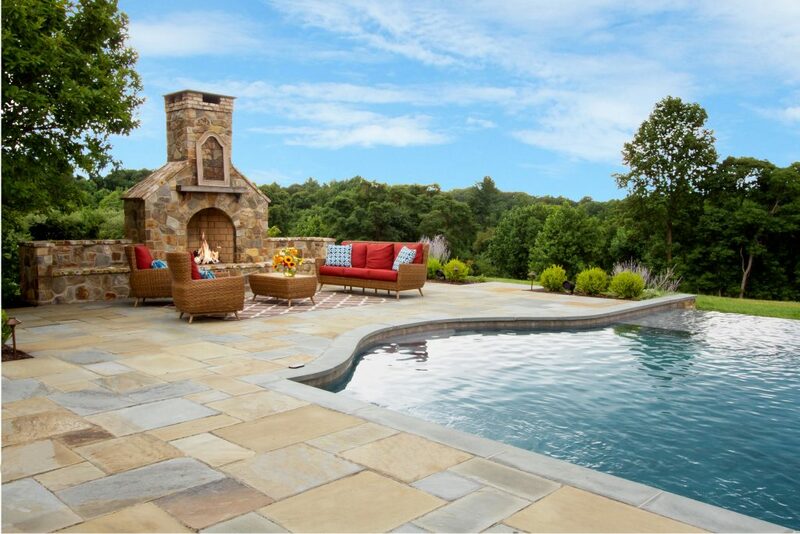 Many homeowners don’t know where to begin when trying to create their dream backyard. 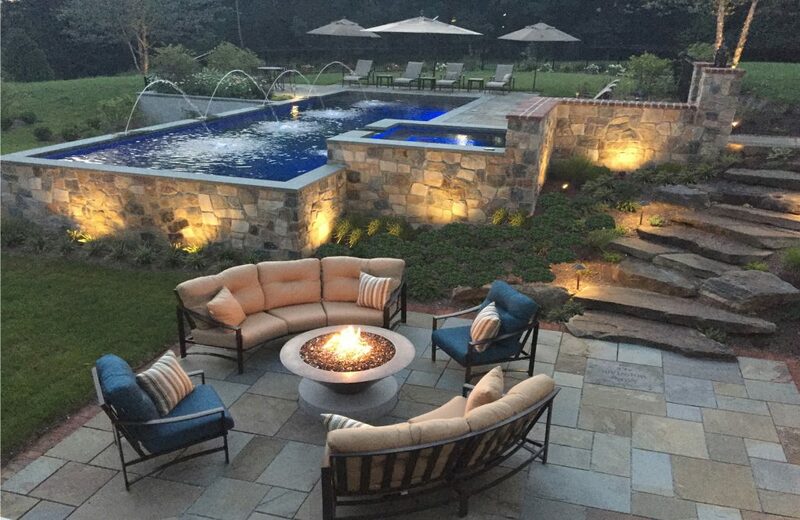 The landscape architects at Wallace Landscape Associates can use their expertise and collaborate with clients to create a vision that is both functional and aesthetically pleasing. “The backyard should be an oasis; a retreat from daily life. 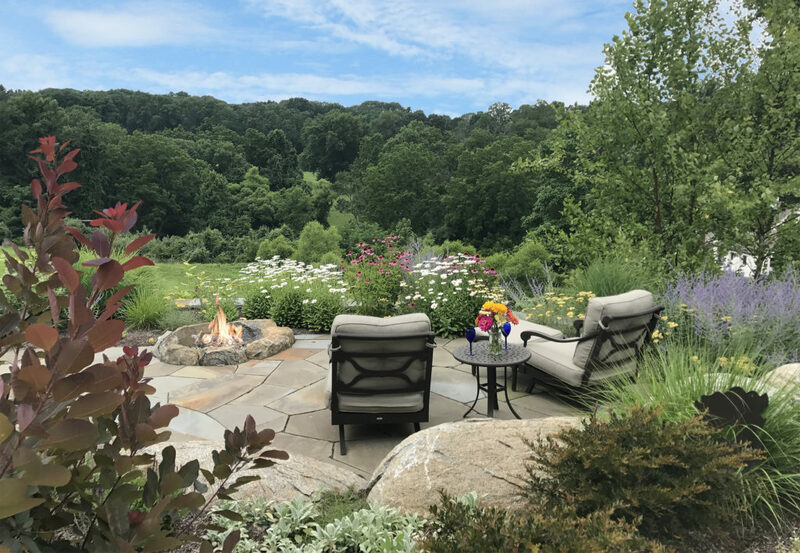 One of the key components behind creating a beautiful garden is understanding the technical aspects of the landscape,” explains Richard Lyon, a partner and principal landscape architect at Wallace Landscape Associates. Some aspects one may not consider are, drains and grates for storm water collection, hiding unsightly pool filters or fenced areas, and, perhaps most importantly, creating privacy from neighbors. An unsightly view to the neighbor’s property can be transformed to a focal point with a beautifully planted privacy screen. Other elements to enhance your garden may include adding hardier plants, stone walls, hedging or other natural elements. The result is a beautiful, but functional space. Wallace can also create outdoor living areas with kitchens or barbecues, and outdoor lighting; taking the best of the indoors outdoors. Unless you’re building a home, an aesthetic likely already exists. In these cases, one of Wallace’s architects takes those factors into consideration to create a cohesive design. “We try to create authentic gardens, landscapes specific to every client and how they live in their house and on that piece of land, and that it reflects the greater culture of the society they live in,” says Lyon. That can mean everything from an ornate garden to a minimalist garden to everything in between. 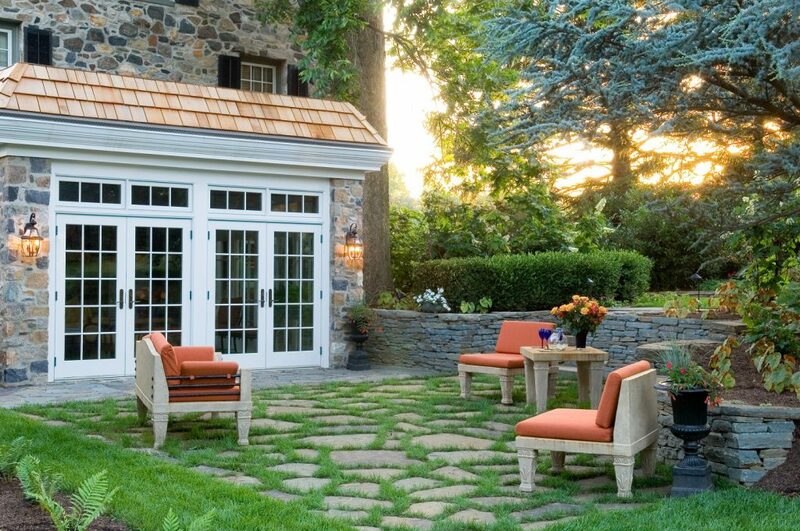 To seamlessly integrate with an existing aesthetic, Wallace Landscape Associates implements similar materials so that gardens and landscaping are harmonious with the home. Water is a popular addition to a garden or backyard. 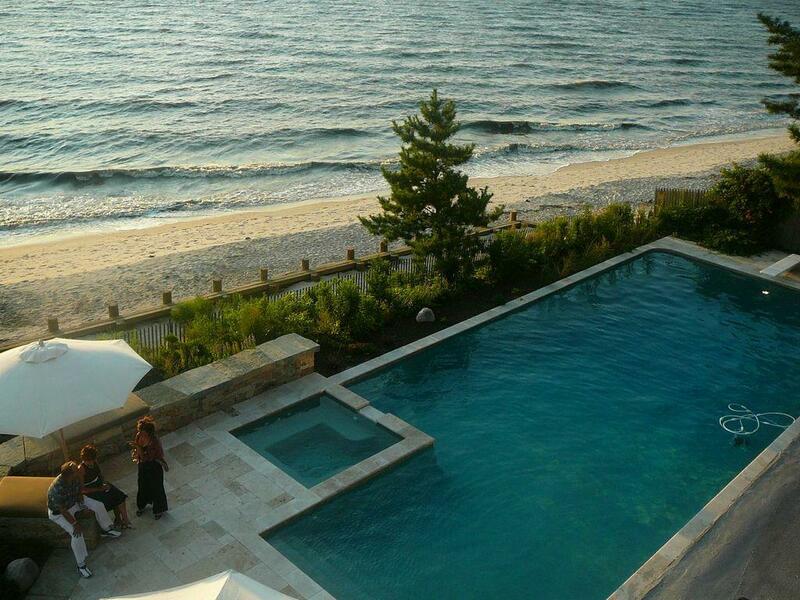 The sound of water is a soothing sensory element in any garden. 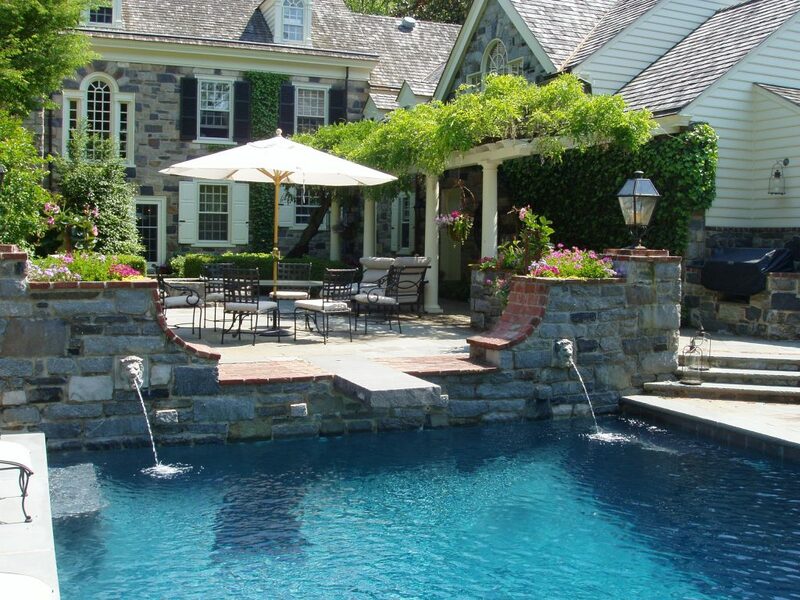 This can come in many forms, from a small fountain in a city garden to a larger property with space for a swimming pool. “Not only can a swimming pool be a place to swim and play but it can be designed to be a focal point by adding fountains, walls and sculptural elements,” says Lyon. 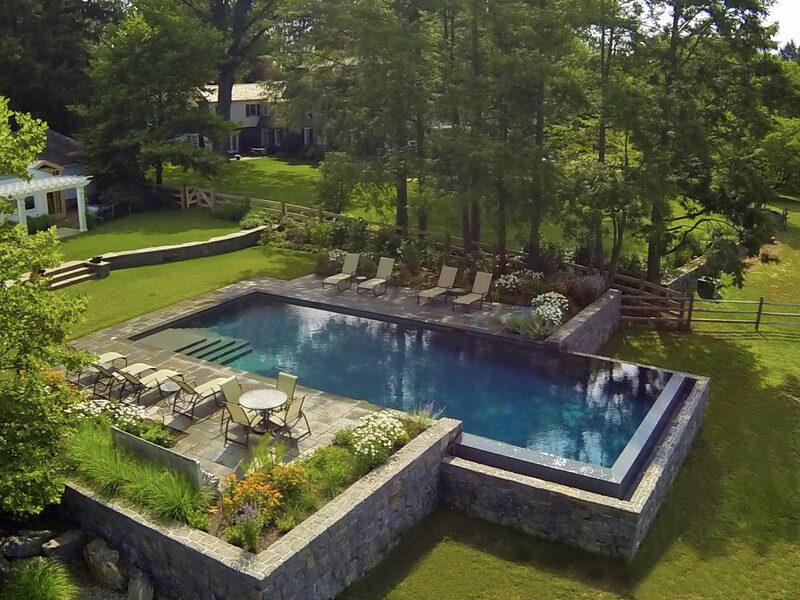 Pools are a popular feature for their beauty and recreational use, explains Lyon, and they’re especially ideal for families. He also likes adding ponds with goldfish to bring in additional natural elements. For many, ensuring their garden is not only beautiful but safe for their children is a top priority. “Lawns cannot only be beautiful, but it’s a place to have ballgames, the Thanksgiving Day football game,” says Lyon. Many families also like to integrate play sets for younger children. When this is the case, they work with the client and the property to ensure it will grow with their family. “Playgrounds can come and go because of the children aging,” he says. To ease the transition, he likes to add different elements, including mature trees, so that if and when the set is removed, the landscape isn’t barren and the children have a new place to explore. Adding wildlife-attracting plants, especially for butterflies and hummingbirds, are also popular for children. Vegetable gardens are also a great way to entertain kids, grow food and encourage kids to be outdoors, he adds. When choosing a landscape architect, it’s important to select somebody who will have your best interests in mind. With their many years of experience and award-winning work, Wallace Landscape Associates is that firm. They understand the many reasons people want to create gardens and work to make that a reality. 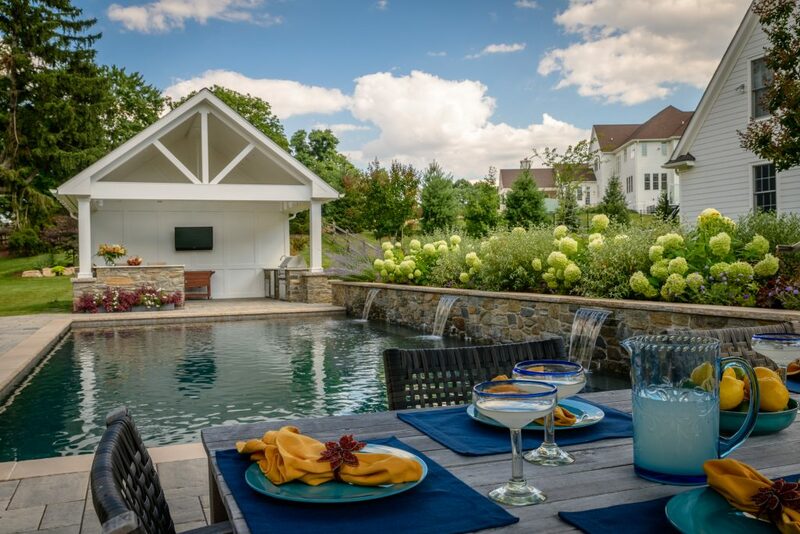 Whether entertaining a crowd or looking for a quiet corner to escape to, Wallace can create your beautiful backyard oasis.